Are you an ISO 9001 Certified Organization? Are you maintaining the Certificate or improving Quality Management Systems? Do you have ISO 9001 certificate? If YES. Answer this genuinely. Are your efforts just focused on surviving the certificate? Do you think of Quality Management Systems only when Audit comes? Are your internal audits merely checking compliance? Are you working for system rather than system working for you? 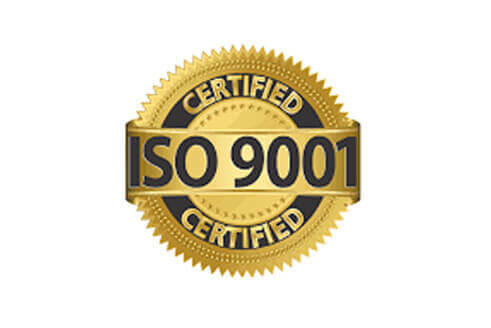 Do you think getting ISO 9001 certificate is enough to improve quality? If your answers are YES, then I am sure most probably your answers to below mentioned questions will be NO. Check this out. Did your customer see any major difference in your product and services before and after achieving ISO 9001 certificate by you? Do all employees advocate the benefits of QMS systems that you have? Did you identify significant quality improvement project(s)? Most of the organizations today are in the race of getting certificate. Initially they all say they are going for certification because they want to improve the systems. Initially everybody work with enthusiasm – Management, Consultant, Employees all. Why? Because there is a hanging fruit which they want to catch. The fruit is "CERTIFICATE". What happens after the certification? The fuse blows off. A new meaning appears to each ISO 9001 Clause as below? Process Approach becomes Procedure Approach. Instead of documented system, you now have a system of documentation. Records are made only to pass the audits. Management Commitment turns into Certificate Commitment. They want certificate to hang on the wall at any cost. Customer focus becomes Auditor Focus. Quality Policy is on walls instead of heart of company. You only have Quality Objectives that are manageable instead of measurable. Everybody is responsible but not authorized. Responsibility is communicated only when something goes wrong. Management Review is a signed note with less than the words of Short Hand. Management does not review it only signs. Provision of Resources turns into Corrosion of the Resources. Training is provided like this: Training providing agency contacts. HR identifies participants (instead of identifying training needs) for the training without worrying whether the training is suitable or not. Most idle person in the organization is sent for training instead of the one who needs it. Infrastructure maintained every time when customer visits. Work Environment is maintained each time after a major incident / accident for 7 days. Quality Plans, Specifications, Tolerances, Service Level Agreements are made according to what we can produce rather than what is required by customer. Customer orders are reviewed in detail after dispatch of the product / service only when customer shouts. Have only As Built designs to avoid any changes. Criteria for selection of supplier become only cost. Production / service takes place with unsuitable equipment. Work Instructions are displayed but not understood. Instruments are calibrated every year but not adequate for the measurement to be made. Measurement of customer satisfaction - Measure loudness of voice of customer while he complaints. If voice is less loud – customer is satisfied. If voice is loud enough to crack your telephone – customer is very dissatisfied. Control of non conforming products means identifying different innovative ways of accepting non conforming products. Analysis of product – Measure money recovered from scarp. Root Cause of most of the problem "Employee does not know". Corrective Action is always "will be done", "we will take care". Preventive action means preventing employees from taking decisions. Are you managing certificate or system? Are you preventing improvements or problems? You need to rethink. Is ISO 9001 an expense or it is a wise investment? Dr. Ishikawa said that 85% problems can be solved by acting on system. That means next time you see any problem in this could be the reason. Because there is no system – SOLUTION: Establish System. Because the system is not known – SOLUTION: Make everyone aware about system. You have system. Your employees Know it, Follow it. But still you have problems: Then THERE IS PROBLEM WITH THE SYSTEM itself. Change or modify the system. Wake up! Turn your expense into investment. Good Luck.